It is time to say good bye to 2012 and welcome 2013. 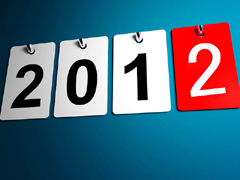 According to us year 2012 was mind-blowing year for financial market & especially equity. Equities surged ahead outperforming all other asset classes, especially towards the end of the year, with the benchmark indices gaining around 27%. Sensex was quoting at 15134 in January 2012 and by now it is crossing 19150 giving decent returns to investor who has believed in equity market. Many of us must have noticed that 2011 was not good year for equity market. Equities recorded the second worst annual performance in 2011 when key indices such as the Sensex lost over 25%. Sensex was quoting 20621 in January 2011 and by end of 2011 it was nearby 15200. But 2012 has turned out to what some experts call a “strange year” during which all the widely traded asset classes offered decent gains. If you had invested Rs 10000 each in equity, fixed income and gold at the beginning of the year through the mutual fund (MF) route, your portfolio would look like this on an average (as on December 17); diversified equity MFs—Rs. 13250, gold funds—Rs. 11350 and fixed income—about Rs 10940. This gives an average portfolio return of about 18.5% compared to just 5.2% in 2011. The average portfolio return stood at 14% in 2010 and 36% in 2009. The worst came in 2008 when average returns posted a decline. Gold use to generate returns of 20% for four consecutive years had a boring performance in 2012. The yellow metal gained by only 12.8%, which is slightly better than top performing debt funds, so far this year. Silver, which had given phenomenal annual returns in the past, increased 17.6%. Real estate too had a cool performance in 2012 with housing prices in growing cities in the country moving up only in single digits. Residential property prices advanced by 9.2% in Pune between December 2011 and September this year, the highest among the top cities in nine months, according to Residex, the index on housing prices compiled by National Housing Bank.